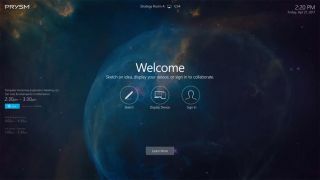 Prysm, provider of digital meeting room solutions, is launching what it has referred to as the “New Prysm”: two native applications—for Windows 10 desktops and for iPhones—designed to extend the company’s digital workplace platform to allow remote collaboration. Built around the company’s core idea of increasing user engagement through quick, easy access to content, the new native applications aim to deliver the same experience to which Prysm users have grown accustomed, with added flexibility to tailor access to each individual’s style or place of work. At its release, expected by the end of Q4 2017, the platform will be available on Microsoft Windows 10 devices—including laptops, Surface devices, and the Surface Hub via UWP—as well as the Apple iPhone, but the company will work to expand this with applications for Mac OS and Android mobile devices in 2018. In addition, the company has announced plans to unify its platform with collaboration tools from Cisco and Polycom, as well as the artificial intelligence power of IBM Watson. These enhancements are expected to emerge in 2018.